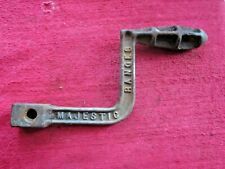 THIS IS AN ANTIQUE CAST IRON #3026 COAL / WOOD STOVE SHAKER HANDLE LID LIFTER. 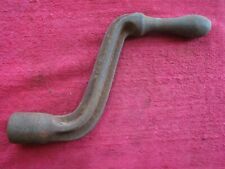 THIS IS AN ANTIQUE 5/8" SQUARE HOLE CAST IRON RANGE / COAL / WOOD COOK STOVE SHAKER HANDLE. “Quick Cooking: From the Top of the Stove” by Marion Flexner, published by Fawcett, 1951. Softcover (6 5/8 x 9 3/8) 144 pages. Range top cooking ideas. 1000 recipes! And look at that RED range! Телевизор Горизонт 204 - инструкция и электросхема 1973 год. I'm always in touch. Пишите и задавайте вопросы. Пишущая портативная машинка Любава руков��дство по эксплуатации 1994 год. Пылесос бытовой Циклон КМ30 руководство по эксплуатации 1979 год. 1000VA 800W DC12V(PWM)Max. RATED POWER 1000VA/ 800W 2000VA/ 2000W 3000VA / 3000W 3000VA / 2400W 4000VA / 4000W 5000VA / 5000W 5000VA / 4000W. OPTI SOLAR INVERTER WITH 50A Max. Pure sine wave inverter. OPTI Solar 3000VA/2400W DC 24V ( MPPT )Max. HIGH-EFFICIENCY HYBRID / OFF-GRIDSOLAR INVERTER WITH 80A Max. RATED POWER 3000VA / 2400W 5000VA / 4000W. ( This inverter could not connect directly to a AC 240V/120V split phase power system in USA ). This genuine Bodum Bistro Coffee Maker was made in Switzerland and has never been used. Quality By Bodum, it makes excellent coffee. It is made of heat-resistant glass, polished stainless steel, and has a black heat resistant lid, handle, and knob. It has 32 pages of recipes and dates from the 1930's. “Nancy Pepper’s Recipes” by Electromaster, 1948. Softcover (6 x 9) 64 pages. Wide variety of recipes for cooking on that newfangled electric range! COLOR PICTURES/FEATURES/NEW MODELS! A terrific collectible - AN ORIGINAL 1951 KELVINATOR REFRIGERATOR CATALOG! COLOR PICTURES OF THE LATEST MODELS & FEATURES. COMPARISON CHART OF DIFFERENT MODELS. A RARE FIND! Power saver clean (save 20 - 30 %). Material : E.R.S Techno caused by the combination of minerals that are rich. To break down and reduce static electricity. DATE - 1957. FORMAT - Stapled booklet. OPTI SOLAR INVERTER WITH 80A Max. Pure sine wave inverter. Waveform Pure sine wave. ( This inverter could not connect directly to a AC 240V/120V split phase power system in USA ). Surge Power 6000VA 8000VA 10000VA. This is a large three Norge logo binder with eight tabbed sections. The tabbed sections are titled Each tabbed section has catalog sheets and sales brochures on Norge appliances. There are probably a couple dozen different appliances covered in this binder. Stove has breach of nickel and paint! You can always check the condition of the item by the picture. VINTAGE 1890s-1900s LITTLEFIELD STOVE CO PAPER SIGN! 10x14 ALBANY NY! POSTER! 10x14 ALBANY NY! A terrific collectible - AN ORIGINAL 'LITTLEFIELD STOVE CO.' PAPER SIGN! A CAST IRON STOVE MADE IN ALBANY, NY. 10 1/4" x 14", PRINTED ON THIN PAPER. EXACT AGE UNKNOWN. RATED POWER 3000VA / 2400W 5000VA /4000W. SOLAR INVERTER WITH 70A Max. Pure sine wave solar inverter. Waveform Pure sine wave. This inverter could not connect directly to a AC 240V/120V split phase power system in USA. This is a 1935 GENERAL ELECTRIC REFRIGERATOR Replica Aluminum Sign, featuring a GE MONITOR TOP & FLAT TOP REFRIGERATOR! Dart & Kraft acquired Hobart in 1981. Dart & Kraft split in 1986, with Hobart becoming part of Premark. Premark was acquired by Illinois Tool Works in 1999. Our team strives to preserve the patent sheets to the furthest extent possible. Better Living With Your New 1950 Space Maker Refrigerator, General Electric, Manual/Instructions, includes recipes and added freezer instruction sheet. Origin: General Electric Corporation, 1950. Number 18 126 231, ca. 1937. Used and storage traces (see also the pictures). Each of the tabbed sections contains a different manual. The tabs are titled All are fully complete and in good shape with a couple extra pages loosely inserted. Models 601C-60C. Model 740C. Models 701C-70C. THERE IS ADVERTISING TEXT ON THE BACK! THE REVERSE SIDE HAS TEXT ABOUT THE IMAGE ON THE FRONT SIDE. THIS CARDS IS NOT A MODERN REPRODUCTION. THE IMAGE ABOVE IS LARGER THAN THE CARD. IT IS NOT PERFECT AND THIS CARD MAY HAVE ONE OR MORE OF THESE. A terrific collectible - A 1959 WESTERN AUTO MAJOR APPLIANCE CATALOG! 'WIZARD MAJOR APPLIANCE SALES MANUAL'. A GREAT REFERENCE! THE COVERS HAVE WRITING & WEAR, A SMALL TEAR. THE INTERIOR IS IN GOOD SHAPE. User's Manual and three Pamphlets. Care and Use-User's Manual. They explain how to use all the accessories, cleaning and adjusting, care, cooking and recipe examples. 1 oz - 4lbs. 1 oz - 2lbs. 1 - 8 ozs. 1969 год Холодильник СМОЛЕНСК модель КШ-120 инструкция по эксплуатации и паспорт СССР Оригинал. Оригинальная инструкция по эксплуатации и паспорт на русский домашний холодильник СМОЛЕНСК 1969 года. ЭТО ОРИГИНАЛ 100%. 1 oz - 4lbs. 1 oz - 2lbs. 1 - 8 ozs. Under 3 lbs. Under 2 lbs. Under 1 lb. This is catalog SER-320-9M covering Electric Ranges and Miscellaneous Parts for 1941. This catalog is divided into a six page illustrated Preface section with specifications and an index, a 40-page section covers parts for Ranges and 5-page section covering parts for Water Heaters with everything contained within the original three hole soft cover binder. Our team strives to preserve the patent sheets to the furthest extent possible. The only source of authentic one-of-a-kind historic patent examiner prints. Pricing may vary depending on the number of sheets.